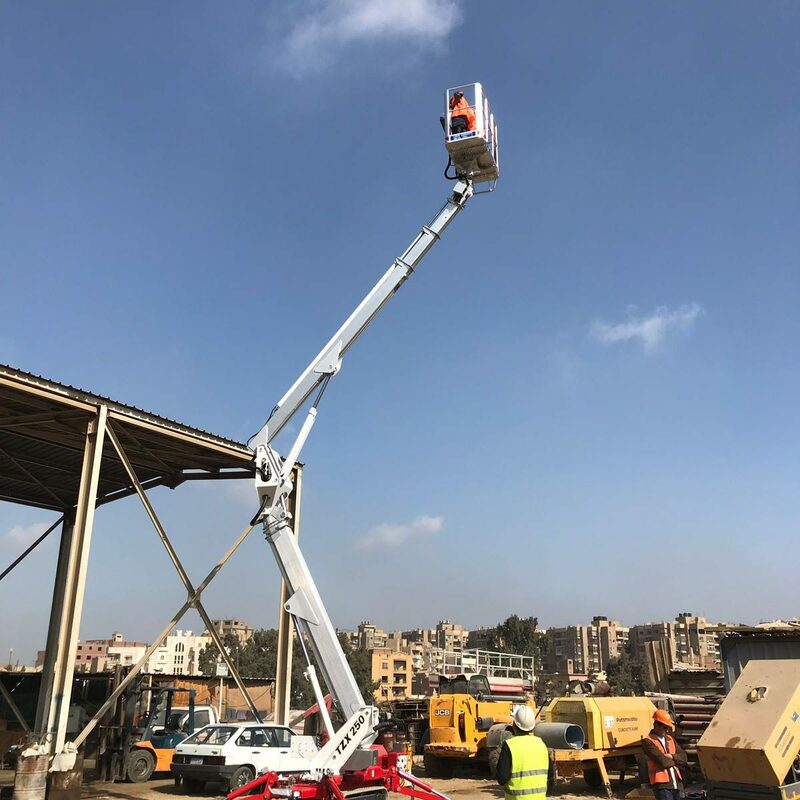 A spider access platform from Palazzani is currently working in the Grand Egyptian Museum under construction, located between the pyramids and Cairo. The machine, 22,5 meters high and with 10 meters outreach, has been configured in crawler version and in ECO mode. The main asset of the Ragno TZX 225 is its ability to operate at any floor in the museum. Indeed, its extremely light weight up to 2,5 tons and the stowed dimensions allow to move easily, including entering elevators. On a 24 000 square meters area, the spider is powered plugged by electricity or by battery.